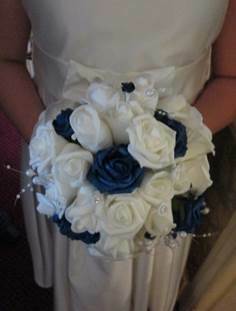 Planning a wedding can be expensive, so why not hire our flowers and bouquets. Single stems and bouquets available in a variety of colours and styles. Ideal for table centre pieces, bridesmaid bouquets/flower girl baskets and room decoration. 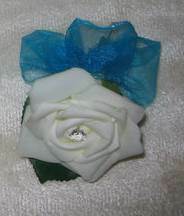 Foam and silk buttonholes available. Any design, just tell us what you would like. To purchase only.